Sad Leon - Drawing Art. Art not mine, * SEE The Drawing Process & main artist in the "COMMENTS BELOW" *. 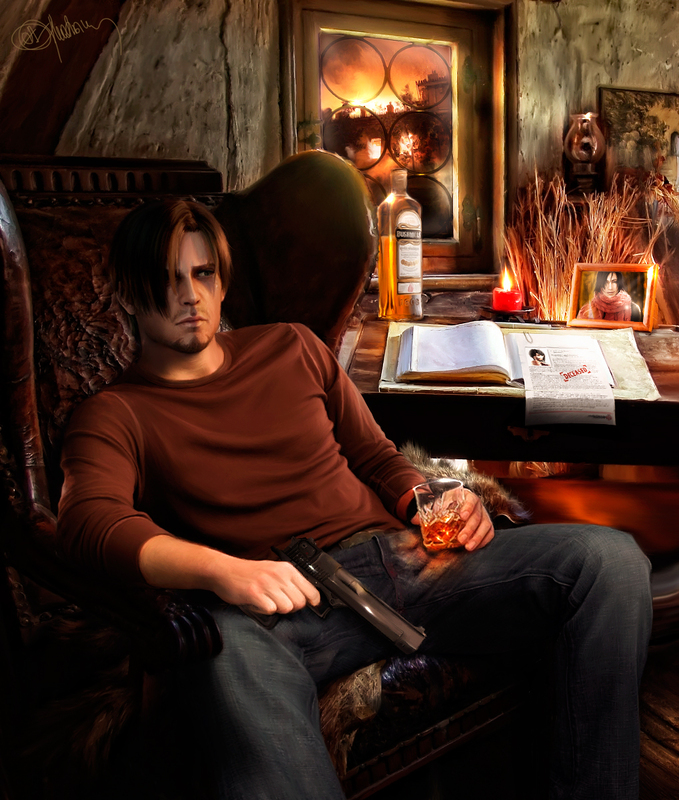 HD Wallpaper and background images in the Leon Kennedy club tagged: leon scott kennedy resident evil leon kennedy resident kennedy leon leon fan art leon drawing art. This Leon Kennedy fan art contains 미술실, 응접실, 거실, 앞 룸, 응접실, 프런트 룸, 앞 방, 소, and 패밀리 룸. There might also be 화장대, 옷장, 화장실 테이블, 드레싱 테이블, 화장 대, 화장실 표, 바베큐, 바베 큐, 기호, 포스터, 텍스트, 칠판, 사인, and 서명.